Scammers typically kick into high gear during tax season in the United States, which tends to bring with it a spike in phishing attacks that spoof the Internal Revenue Service. Take, for example, a new scam making the rounds via email, which warns of discrepancies on the recipient’s income tax return and requests that personal information be sent via fax to a toll-free number. That 866- phone number is currently returning a fast-busy signal, which suggests either that a lot of people are falling for this scam, or that anti-scammers are speed-dialing the number in a bid to prevent would-be victims from faxing in their forms. My guess is that this scam is tied to some kind of automated service that scans faxes and then emails the phishers copies of the scanned images. It’s worth noting that the data requested in this bogus IRS form includes the Social Security number, e-File PIN and adjusted gross income, all of which are crucial pieces of information that the IRS uses to authenticate taxpayers. 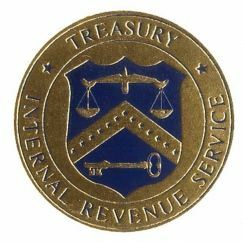 The IRS has been careful to note that while it may conduct follow-up correspondence with taxpayers via email if the taxpayer chooses to communicate that way, it will never reach out to taxpayers via email. Consumers can report any tax-related phishing scams to phishing@irs.gov. This entry was posted on Tuesday, March 29th, 2011 at 10:57 am	and is filed under A Little Sunshine, Latest Warnings, Web Fraud 2.0. You can follow any comments to this entry through the RSS 2.0 feed. Both comments and pings are currently closed. If the line is busy from anti-scammers flooding it with calls, I say Good for them! Making the call toll-free may make it easier to reel in the gullible, but it also makes it easier for the anti-cammer activists to shut them down. Brian, I should also say “Thank you” for including that number. Nudge, nudge, wink, wink, Say no more, Say no more? I’ve never heard anything like that calling a US phone number. I can’t help but wonder why none of the humorous “human-interest stories” on the news for tax season never seem to mention this sort of thing. A good clue that a message may be a scam is the grammar. That’s why it’s usually easy to spot Nigerian scams, for example. The “IRS” letter raised grammatical flags: Run on sentences, missing commas and unneeded or inappropriate words. *This is in reference to your 2010 U.S. Individual Income Tax Return we seem to have some discrepancies with your filing. Brian, our English majors finally pay off! Shouldn’t the end read – “fill it out and fax it…”? Sadly I think most of these are small enough not to set off major warning flags to the majority of people who receive it. And since they have you faxing it instead of emailing it back – it almost gives a little more credibility to it. Many people seem to disregard the fine print which tells them what info companies will never ask them for anyway. I will hope the lines stay busy to help protect those who would fall for it. Hopefully after not being able to fax it in, they’ll go to the IRS page and call someone and stop trying to fax it… or if we’re really lucky the fax line will be shut down completely and never back up. “get hold of” would appear in legit IRS text. Thank you, T.Anne, Al, and AlphaCentauri. Here we stand 5 months later (August 4, 2011) and the fax number (866) 513-7982 is still operational. I guess the busy signal was due to actual people sending over their papers, not because of anti-spammers.